There are a lot of fish that go by the name of Kingfish. 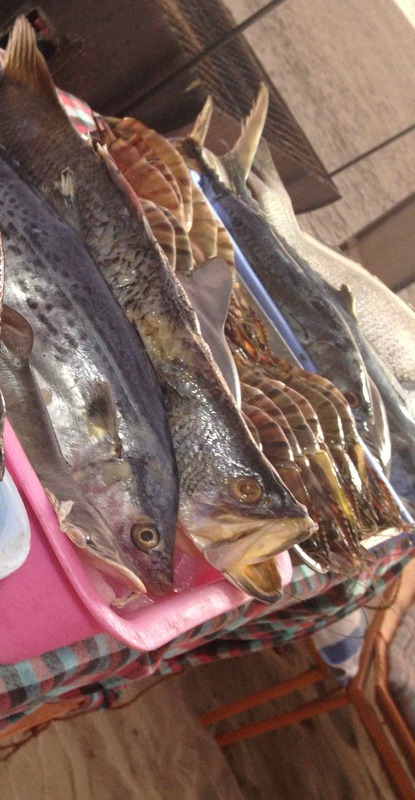 The one you will find in Goa is the Narrow-barred Spanish mackerel. Found in a large area around south-east Asia and the Indian Ocean, this is one of the popular fishes on offer to diners at the casual beach huts. You can, of course, select your fish and get it barbecued, put in the tandoori, or even smoother it in masala sauce. 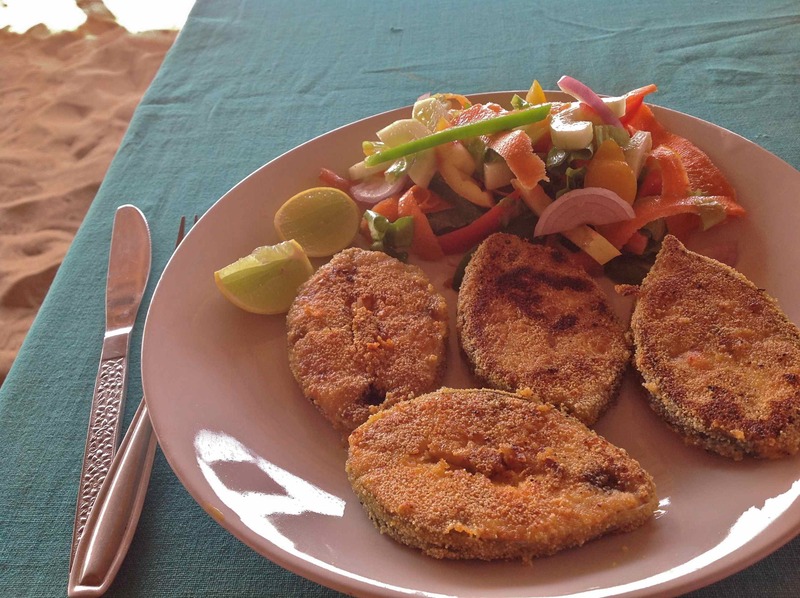 I choose a local favourite, the Goan Fish Fry (Rps 180 or Rps 220 with salad). It is sliced into neat fillets, with the skin on the fish and a a bone up the middle of each piece. It then coated in spices and dry fried. The coating is crispy but it is so thin that you immediately bite into the firmness of the kingfish without crunching away unnecessarily. Delicious with a bit of lime squeezed on top. Paradise (beach shack), Patnem Beach, Goa, India. Open: approx 8am-11pm in season.